Even with the rise you tube and other internet sources for hosting and watching movies and documentaries, I believe that film festivals remain an important venue for movie watching. Anthony Foreman and everyone associated with Trail Dance have a tremendous job putting together this festival. Trail dance has been recognized at the state level by receiving the rose bud award and at the national level twice by Movie maker magazine for being a top 25 festival worth the entry fee and for being one of the coolest film festivals. This is an impressive record for a festival that is only 6 years old. Besides watching movies in the way they are meant to be watched, which is on a large screen in a darkened room, film festivals provide unique opportunities for people to get together to discuss and celebrate movie and documentary making. 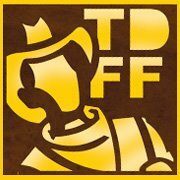 I hope you will take the time to come to Duncan to attend the Trail Dance Film Festival this year. It is being held January 25th- 26th. While we expect you to watch “The Secret of Sarah Pennington,” try to view some of the other pictures screening there. See you at Trail Dance!